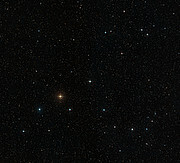 The team of astronomers used the HARPS spectrograph, attached to ESO’s 3.6-metre telescope at La Silla, Chile, for a six-year-long study of the Sun-like star HD 10180, located 127 light-years away in the southern constellation of Hydrus (the Male Water Snake). HARPS is an instrument with unrivalled measurement stability and great precision and is the world’s most successful exoplanet hunter. Thanks to the 190 individual HARPS measurements, the astronomers detected the tiny back and forth motions of the star caused by the complex gravitational attractions from five or more planets. The five strongest signals correspond to planets with Neptune-like masses — between 13 and 25 Earth masses  — which orbit the star with periods ranging from about 6 to 600 days. These planets are located between 0.06 and 1.4 times the Earth–Sun distance from their central star. 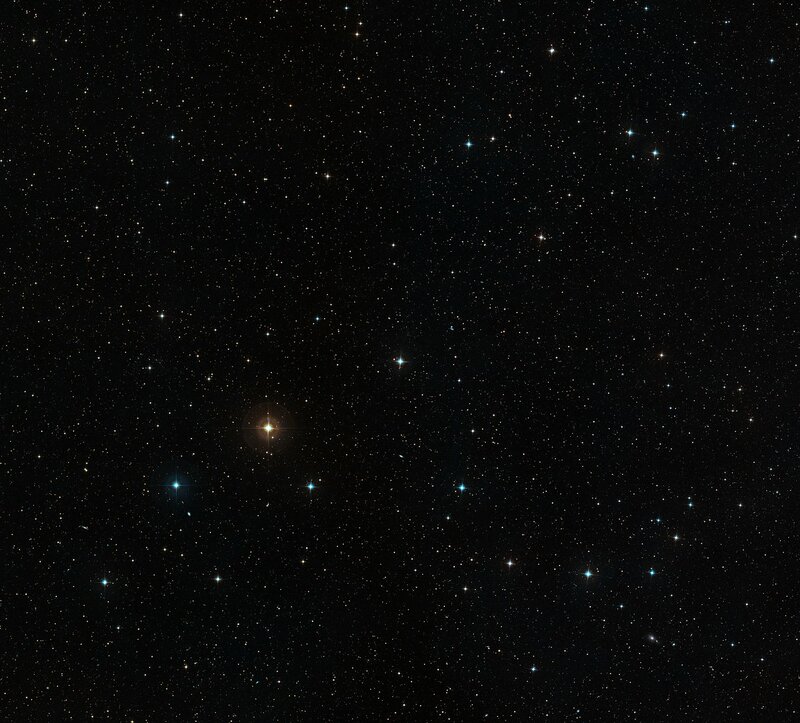 “We also have good reasons to believe that two other planets are present,” says Lovis. One would be a Saturn-like planet (with a minimum mass of 65 Earth masses) orbiting in 2200 days. The other would be the least massive exoplanet ever discovered , with a mass of about 1.4 times that of the Earth. 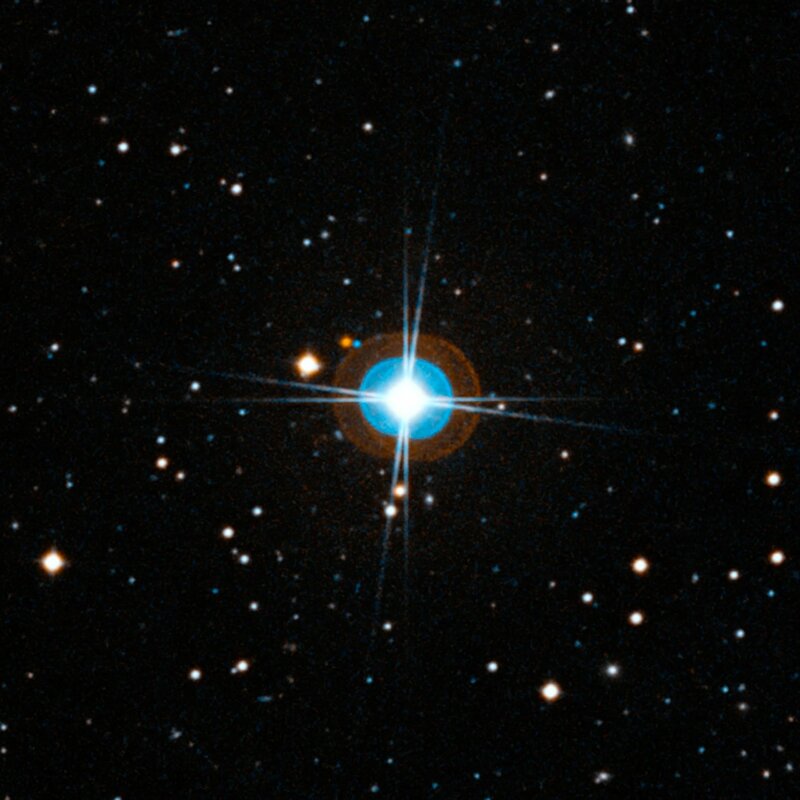 It is very close to its host star, at just 2 percent of the Earth–Sun distance. One “year” on this planet would last only 1.18 Earth-days. “This object causes a wobble of its star of only about 3 km/hour— slower than walking speed — and this motion is very hard to measure,” says team member Damien Ségransan. If confirmed, this object would be another example of a hot rocky planet, similar to Corot-7b (eso0933). 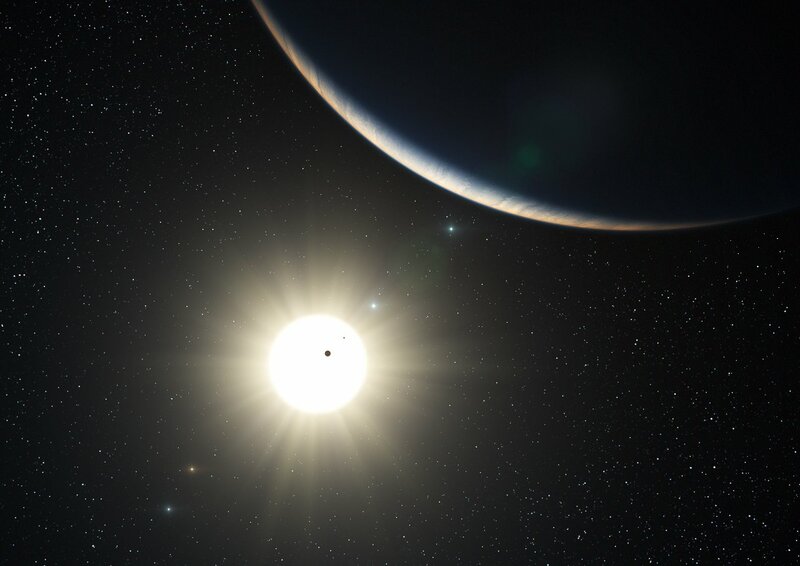 Using the new discovery as well as data for other planetary systems, the astronomers found an equivalent of the Titius–Bode law that exists in our Solar System: the distances of the planets from their star seem to follow a regular pattern . “This could be a signature of the formation process of these planetary systems,” says team member Michel Mayor. The discovery is announced today at the international colloquium “Detection and dynamics of transiting exoplanets”, at the Observatoire de Haute-Provence, France. 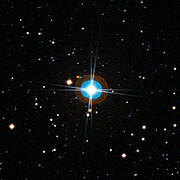 (added 30 August 2010) HD 10180b would be the lowest mass exoplanet discovered orbiting a "normal" star like our Sun. However, lower mass exoplanets have been previously discovered orbiting the pulsar PSR B1257+12 (a highly magnetised rotating neutron star). The Titius–Bode law states that the distances of the planets from the Sun follow a simple pattern. For the outer planets, each planet is predicted to be roughly twice as far away from the Sun as the previous object. The hypothesis correctly predicted the orbits of Ceres and Uranus, but failed as a predictor of Neptune’s orbit. According to the definition used in astronomy, “metals” are all the elements other than hydrogen and helium. Such metals, except for a very few minor light chemical elements, have all been created by the various generations of stars. Rocky planets are made of “metals”. This research was presented in a paper submitted to Astronomy and Astrophysics (“The HARPS search for southern extra-solar planets. XXVII. Up to seven planets orbiting HD 10180: probing the architecture of low-mass planetary systems” by C. Lovis et al.). The team is composed of C. Lovis, D. Ségransan, M. Mayor, S. Udry, F. Pepe, and D. Queloz (Observatoire de Genève, Université de Genève, Switzerland), W. Benz (Universität Bern, Switzerland), F. Bouchy (Institut d’Astrophysique de Paris, France), C. Mordasini (Max-Planck-Institut für Astronomie, Heidelberg, Germany), N. C. Santos (Universidade do Porto, Portugal), J. Laskar (Observatoire de Paris, France), A. Correia (Universidade de Aveiro, Portugal), and J.-L. Bertaux (Université Versailles Saint-Quentin, France) and G. Lo Curto (ESO).